Let’s sum up Raheja Vihar: A cluster of more than 30 buildings developed by one of the most reputed developers in Mumbai, largely residential; at an advanced stage of completion. Controversies galore, however, isn't that expected in a project which is almost 25 years old. Located in an area which has seen a generational shift Raheja Vihar is located in the hinterland of Powai; almost a sanctuary far from the maddening crowds and noise of Mumbai, and yet so close to the city life. There was a time almost 15 years back when people were scared to come to this area. Not today.Taking the game a notch above its popular predecessor ‘Maple’ in Raheja Vihar, Raheja has come up with perhaps their best product in ‘Vista’.Why do we say so? Well, while the apartments are spacious and these Vista apartments come with even better amenities marble flooring, more space and a personal clubhouse making the proposition a winner by every sense. A cluster of 11 buildings soaring 19 stories with a double podium. 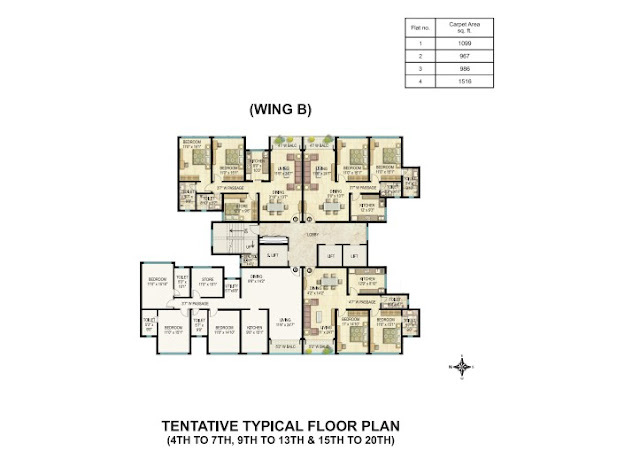 Vistas have a wide range of apartment sizes to close 2, and 3 BHK apartments varying in sizes from 1300 to 1800 sq. ft. The resale value of this product is in the range of 20000 to 22000 per sqft which is just 3000 per sqft. shy of Hiranandani Powai prices, however, I can comfortably say it is justified. Marble flooring in the living room, wooden flooring in the master bedroom aluminium sliding windows, intercoms systems, good fittings in the bathrooms. The product has it all. 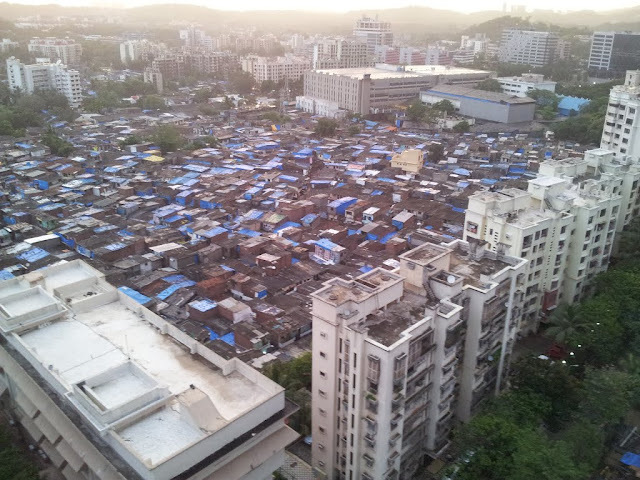 To sum up in terms of social infra & quality of life this is perfect, in terms of connectivity, there are glaring problems. In sync with the successful Maple design the new Vista wears the company’s H building Design concept that works around the maximum ventilation and wind channelling philosophy Spacious rooms, full height French windows internally and good placement of buildings in a staggered manner with a clubhouse at the centre make lend a nice visual appeal and good wind channelling throughout the project. Let me tell you upfront they are spacious. 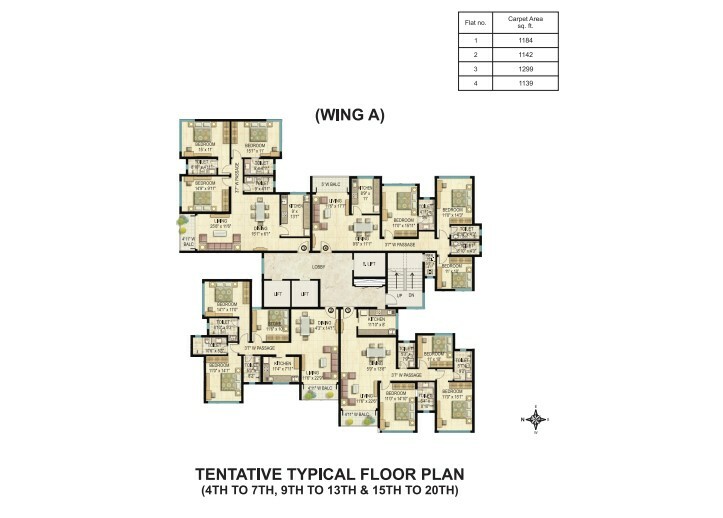 3 BHK Large. Bedroom sizes of 15 * 11 are rare in Mumbai city. Such space allows you to not only have a large king size bed & an expansive 2 ft. wardrobe space in all rooms but also a lot of room to walk around. Bathrooms are 40 to 50 sq. ft. which is decent. The living room is of size 24*11 (it’s expensive!!!) and spreads out into the deck area ensuring you can set up a nice cosy lounge area here. Both the other 2 layouts the 3 BHK small and 2 BHK small are almost identical in nature with large bedrooms sizes and large living dining space. 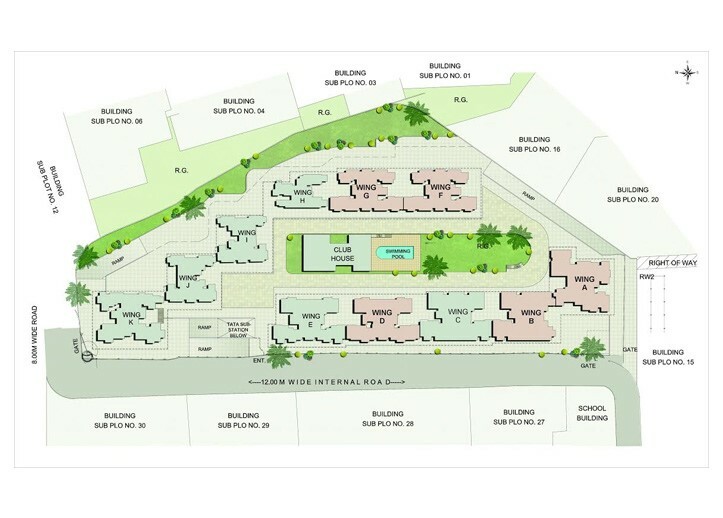 To sum it up this is one of the better laid out master plans and one of the best apartment plans in Mumbai. If you want to live in Powai and can't afford Hiranandani, this has to be on top of your shopping list. But check out the views before buying also buy a new property if possible and not a resale. Wow Real a nice Details in depth find more projects in Thane. Piramal Reality comes with a beautiful project named Piramal Vaikunth which is been located in thane providing you luxurious 2 and 3 bhk apartments with all ultra modern amenities.